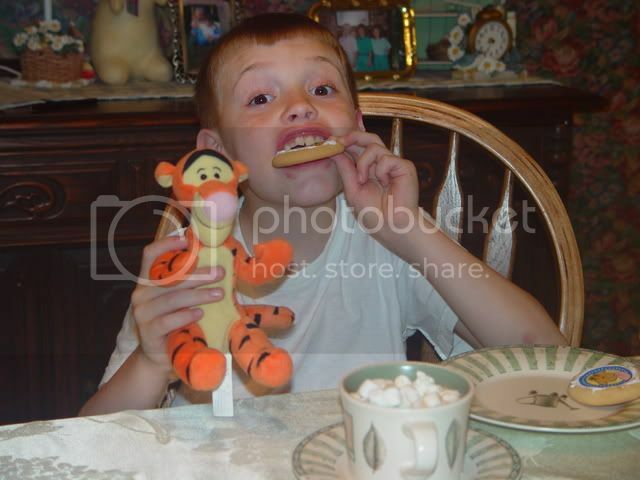 Tuesday Teatime: Winnie the Pooh! 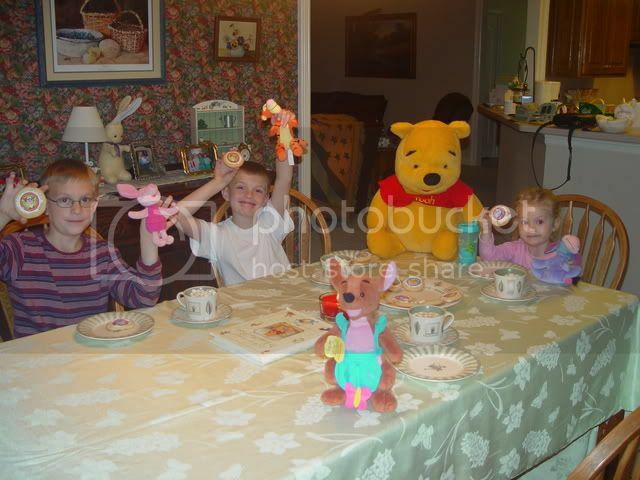 Here are the pictures from our Winnie the Pooh Tea. (Actually we drank hot chocolate.) We had seen the Heffelump movie a few weeks before and all of the kids loved it. They saw these cookies at Walmart and I actually let them buy them. They made them and while they were out playing I made up the table complete with all of the stuffed animals. They each chose one to eat with. 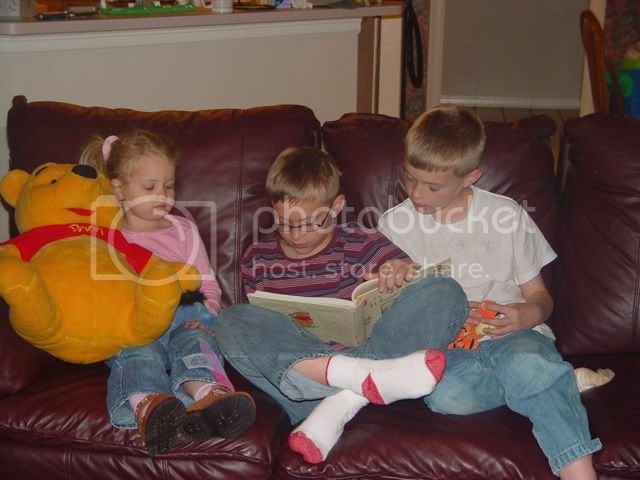 Then we took turns reading classic Winnie the Pooh!